Ah, the joys of turning 21. It’s the age you’re finally free of your teens (awkward fringes and too much eyeliner no more), you realise you’re able to make your own decisions (and discover that eating cake for dinner is not as smart as it sounds), and, more significantly, you can drink in the US. It may be tempting to throw a party to rival that of Cory Worthington, but we are trying to keep houses intact, so we’ve found a few places to throw down and celebrate the dawning of the age of adulthood in style. 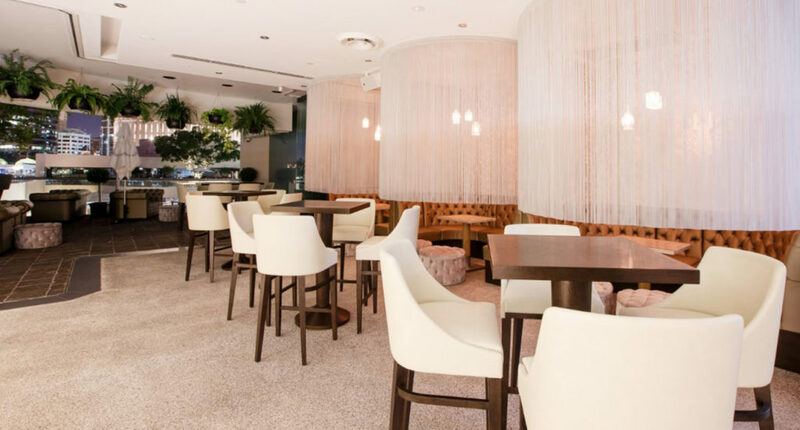 Whether your taste is a big blowout or a banquet with your closest, we’ve put together a list of the best 21st birthday party venues Brisbane has to offer. Scroll down to view our 21st birthday party ideas. Feel like royalty as you swan around the lavish booths of Cloudland. Perfect for your Insta pics, sip decadent cocktails and feast on tasty canapés like Japanese chicken skewers and field mushroom pizza while you’re enjoying banger tunes from DJ’s and live entertainment. Whether you have eight guests or 70, Cloudland’s got you covered. For an action-filled night out, Vic Park is a hole in one. Book out the Orchard Room, a fashionable and vibrant function space overlooking the city, to keep your mates in high spirits all night – that is, until you crush them in putt putt. This ain’t no breakfast club –Retro’s is a late-night boogie wonderland. As well as radical VIP booths, groovy dancefloors and killer DJs, Retro’s will give you a prezzie of their own (fishbowl cocktails, anyone?) to get the party started. While the Osbourne Hotel is a stunner at night, daytime-dwellers will appreciate the natural light and lush greenery of this iconic beer garden. Enjoy a cocktail from the beautiful timber-lined Greenhouse, or kick back with a beer in the art-lined Backyard. What’s better than your own bar for a night? Nothing that we can think of right now, that’s for sure. 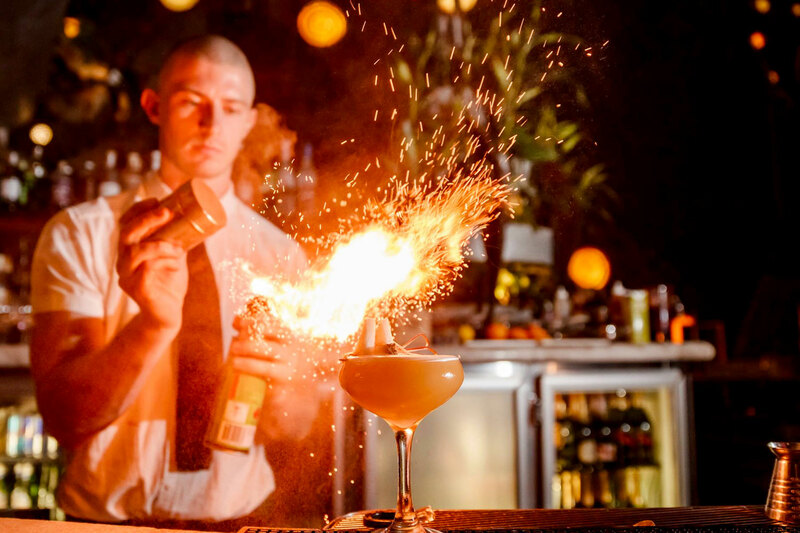 Blackbird has you sorted with their Blackbird Bar function space, a swanky 1920’s inspired joint with a lavish interior and amazing views of the river. Sweeping views of the green, attentive staff and a gorgeous interior – St Lucia’s Hundred Acre Bar putts your needs first. Overlooking the St Lucia Golf Course, enjoy drinks while you enjoy the live entertainment of watching golfers zoom around on buggies. With a mouth-watering menu to boot, you can’t go wrong here. Easy, Tiger. Let’s be real – we’d love a trip to France to celebrate the big 2-1. If Paris isn’t in your budget, no need to be upset, because the French-Colonial Libertine is here to save the day. Celebrate with a few of your faves under ornate chandeliers while you’re feasting on a banquet fit for Marie Antoinette, and yes – they’ll let you eat cake. So, you’re looking for something a little different? Take your party into the depths of arcade games, neon lights and gourmet food at B. Lucky & Sons. 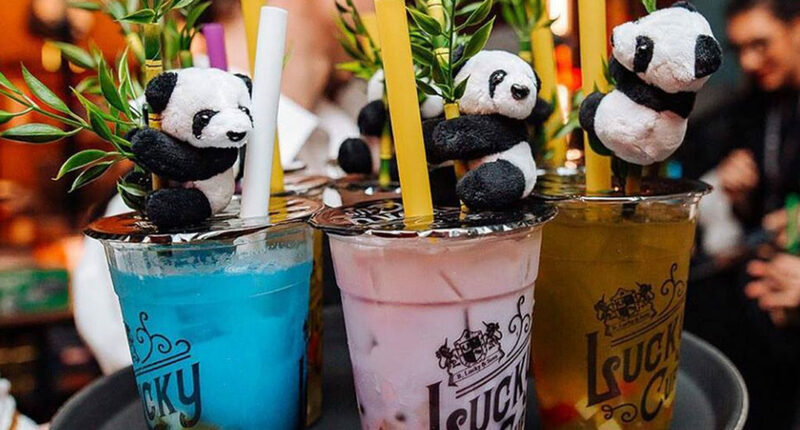 With alcoholic bubble tea, a reserved function area of your own and bonus tickets to smash out some games, this is one event your guests will never forget. Take away the champers – we’re here for beer. For more of a relaxed night out with your mates, Brewski Bar is a winner – and with no room hire fees, you’re golden. Feast on all the classic faves like burgs, nachos and loaded fries from The Back Deck – your home away from home. Have the whole fam joining the festivities? Take them to Golden Pig where they’ll enjoy a tantalising menu of Sichuan fried chicken, vegan Massaman curry and pork bao from the chic renovated warehouse. Forget house parties, your birthday is sorted. - The gourmand who's looking forward to her birthday.